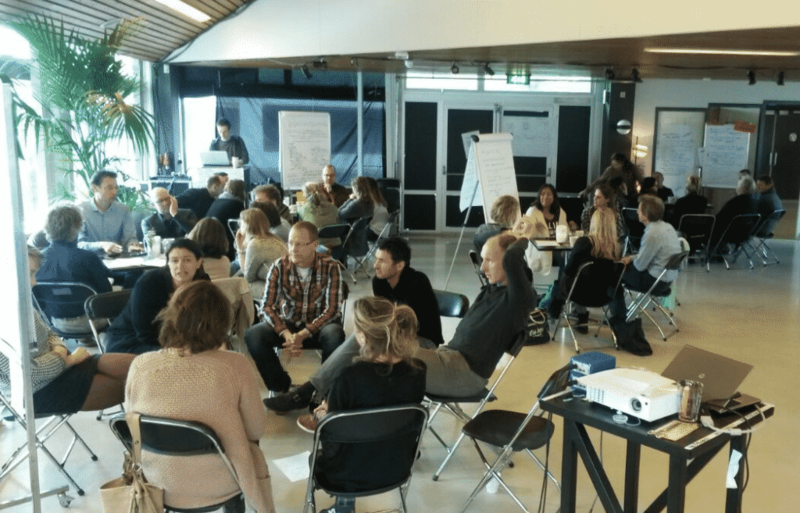 After a reorganisation Amnesty Netherlands started a development process to make a fresh beginning. Hanne Verhoeven, Elien Rogaar and Michiel Damoiseaux helped shape and facilitate the process. During the development process a steering committee, from a cross-section of the organisation, was set up to guide the process and organize events for the whole organisation. This included a start day in January and a collaboration conference of a day and a half at the end of March.